The 2015 Aussie Millions Poker Championship at Crown Melbourne is almost here. The tournament is set to kick off today, Wednesday January 14 and run through Monday February 2, 2015. Crown’s Aussie Millions Poker Championship will include 21 separate poker events this year with buy-ins ranging from AUD$1,150 to AUD$250,000. A total of 20 coveted Aussie Millions ‘championship rings’ will be awarded to event winners. 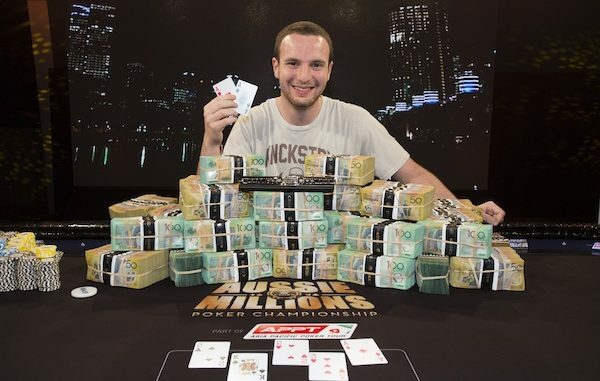 See the full 2015 Aussie Millions Poker Championship schedule below. 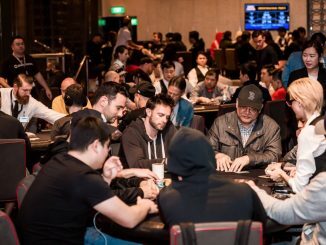 For the second year in a row, the Aussie Millions will be part of the Asian Pacific Poker Tour, which have now aligned rather than run as separate tournament series. The series this year though, has been scheduled to start 9 days earlier than in 2014. The eventual winner of the 2015 Crown’s Aussie Millions Main Event will join 2014 winner Canadian Ami Barer (pictured) in an illustrious group in history, walking away with an estimated AUD$1.5 million dollar first prize as well as the Main Event Champion bracelet. Crown Melbourne’s Director of Poker Jim Preston said, “Crown Melbourne’s Aussie Millions Poker Championship has effectively become one of the top poker majors and a favourite amongst some of the most renowned players in the world, and the stage has never been brighter." 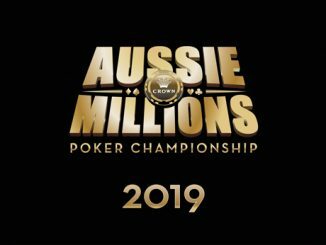 While the entry fees may sit outside the budget of some players, everyone can qualify via the countless satellite tournaments in the lead-up and during the event itself, offering players the chance to win a place in the Aussie Millions Main Event for a fraction of the AUD$10,600 entry fee. The annual poker tradition, which dates back to 1998, has become a must-visit tournament for global poker players including revered players like 2007 Aussie Millions Champion, Gus Hansen. “It’s the place I keep coming back to for the poker, the Australian Open tennis, the atmosphere, the staff and the Australian people,” said Hansen. Crown Melbourne has also unveiled a new film set and tournament playing area for the Championships this year to be known as the ‘Exhibition Hall’. With the expansion of the Aussie Millions Exhibition Hall, located in the award winning Crown Conference Centre, it will include a production studio for the recording of the Aussie Millions TV series. Complete with 27 poker tables, café, registration booth and more, the Exhibition Hall will be an exciting addition this year where several of the events and final tables will be contested, including the Main Event, $100,000 Challenge and $250,000 final tables.